When it comes to your family’s health, you need a physician you can trust. Dr. Jordan Le Tran at Virginia Integrative Medical in Winchester, Virginia, is a board-certified family medicine practitioner who can provide comprehensive integrative and preventive health care for you, your children, and your parents. Call today to schedule an appointment or use the online booking button. Family medicine is a specialized type of medical practice aimed at treating the complete health of you and your family. This encompasses the whole person, not just a symptom or disease. Dr. Tran underwent extensive training to provide primary care for you and your family, learning about managing the health of children, pregnant women, adults, and the aging population. Can I get my annual physical at a family medicine practice? As your primary care provider, Dr. Tran encourages you to come to the office for an annual physical. This routine physical sets the stage for maintaining your health and helps identify areas of concern that you and Dr. Tran can work on to prevent illness. Dr. Tran may also recommend blood work to assess metabolic and nutritional status. This is helpful in the assessment and managemeent of chronic diseases such as anemia or diabetes. Dr. Tran also specializes in the treatment of Lyme disease, gout crystal accumulation in the joint and body through transfusion therapy. Your annual physical is also a good time for you to discuss any concerns you may have about your health. Can a family practice help me when I am sick? While Dr. Tran takes a preventive approach to health care, he is trained to take care of you and your family when you’re well or sick. If you have a cold, urinary tract infection, or gastrointestinal distress, Dr. Tran can provide treatment to help you feel better. He also conducts minor surgery at the office, so if you need a skin mass excisional biopsy, abscess drainage or chronic wound care, Dr. Tran may be able to help. What other types of treatments are available? 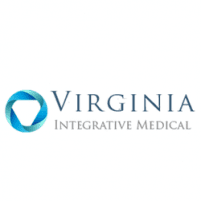 Virginia Integrative Medical offers innovative treatments to help promote health and regenerative health that you may not find at other primary care offices. Dr. Tran also specializes in the treatment of Lyme disease, gout treatment, and crystal accumulation in the joint and body. If you’re searching for a medical provider focused on wellness and innovative treatments who can take care of your entire family, call Virginia Integrative Medical or schedule an appointment online.